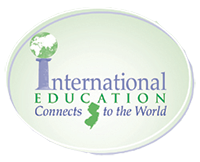 Why Does International Education Matter in New Jersey's Schools? Increased diversity in New Jersey requires greater understanding of the myriad cultures present in our state in order to learn and work respectfully across cultures. Globalization is driving demand for an internationally competent workforce. among the states in terms of exports and is home to more than 1,200 multinational firms from 40 countries. In the U.S. one in six new jobs created flows from international trade. As New Jersey reviews its ties to the world, the strategic importance of international knowledge to economic opportunity is apparent. To be globally competitive, we need to understand our global customers, competitors, and resources better than our competitors. Solving new national and state human security challenges requires the expertise and understanding to address complex problems that threaten the well-being of peoples of all cultures.